Would ya look at that?? Just look at it! I am obsessed with this combination right now!!!!! 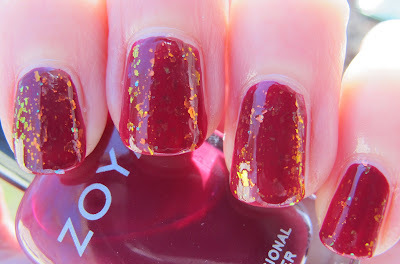 Zoya Chloe might be my favorite of the three Zoya Fleck Effects! Zoya describes Chloe as a "pink tint with mylar green and gold fleck effect", but it is so much cooler than that. 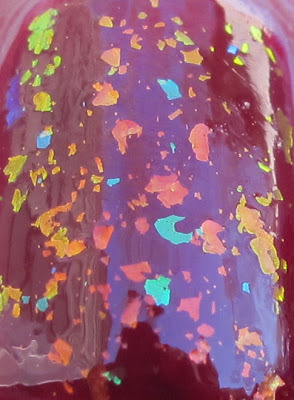 Look at how many colors these flakies flash! Chloe is DEFINITELY a Never Enough Nails Necessity! I see gold, green, blue, orange, copper, yellow, etc. etc.!! For this look, I used two coats of Zoya Stacy under two coats of Zoya Chloe. I felt Chloe's flakes were a little more sparse than those in Opal and Maisie, but two coats was perfect!! 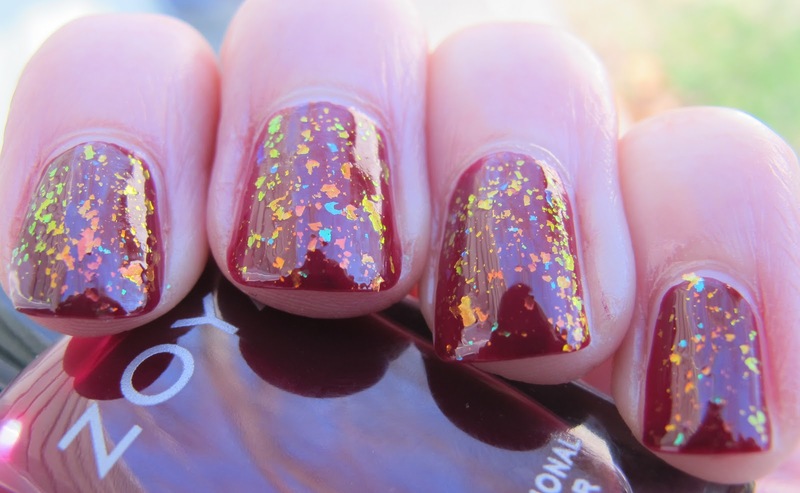 When we're talking about this kind of gorgeousness, two coats is SO worth it. Obviously, I just couldn't stop myself from taking pictures of Chloe! We're in love. Check out this close-up. GAHHHH! It is highly possible that Chloe could be my favorite flakie of all time. It will require further "testing". Lots and lots of testing (a.k.a. 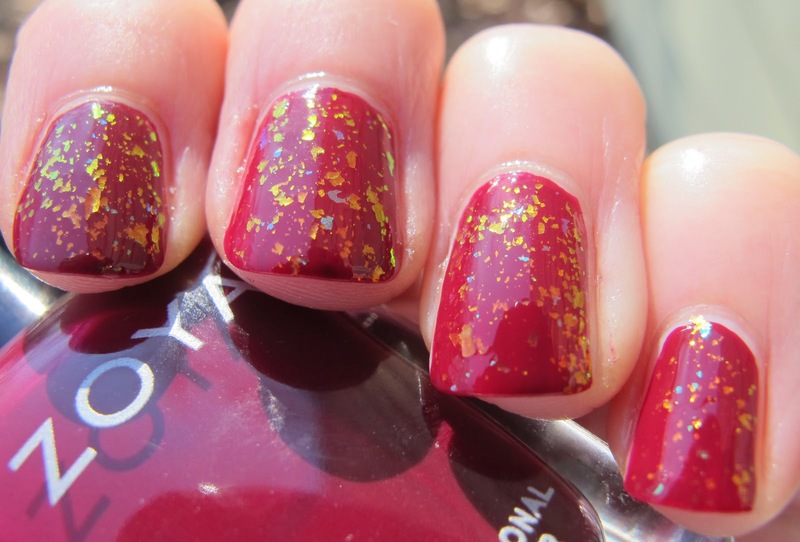 wearing) this polish, but I will let you know if it is deserving of the title of My Favorite Flakie Ever!!! 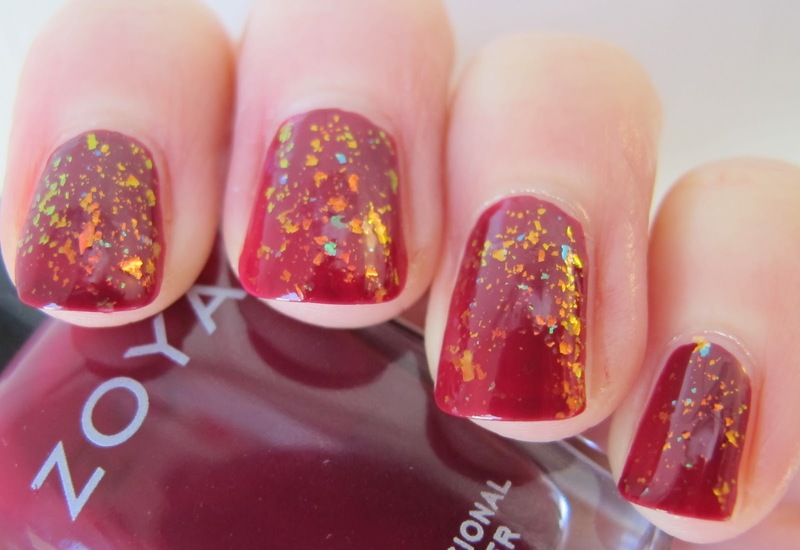 Zoya Chloe and the other two Fleck Effects will be available on Zoya.com for pre-order on January 10!!! Angie- the Fleck Effects are flaky topcoats. They are in a lightly tinted, but sheer base. 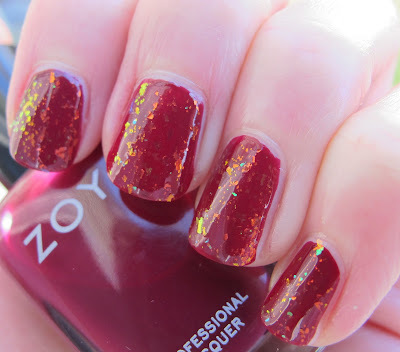 I am holding the bottle of the base color, Zoya Stacy. I don't know why I didn't hold the Chloe bottle! Haha, just tired I guess! 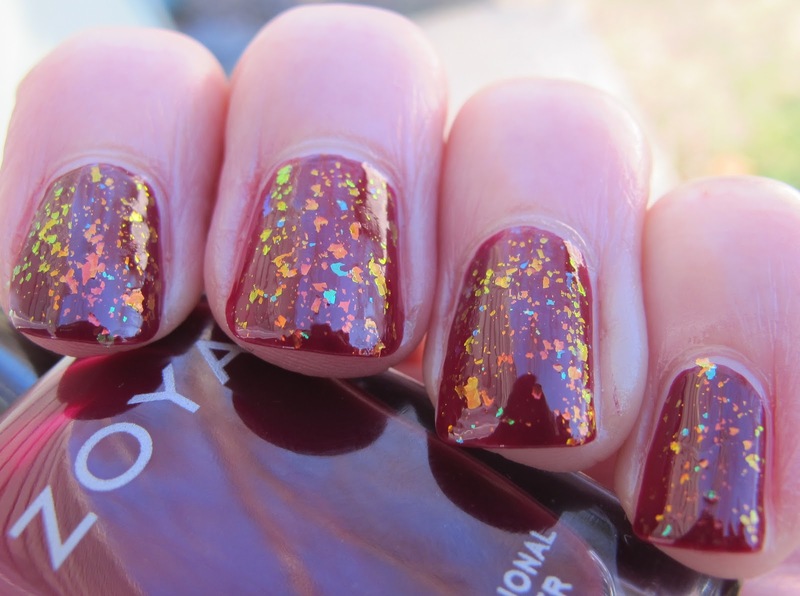 beautiful :) Love this mani! So lovely - you just made my day with these lovelies! Aww thanks thebeautifullagoon! This mani made my day too!